Spas for Men Magazine, U.S.
Valley News & Views Magazine, U.S.
Do you have to be a SCUBA diver to stay at the Poseidon Undersea Resort? No. 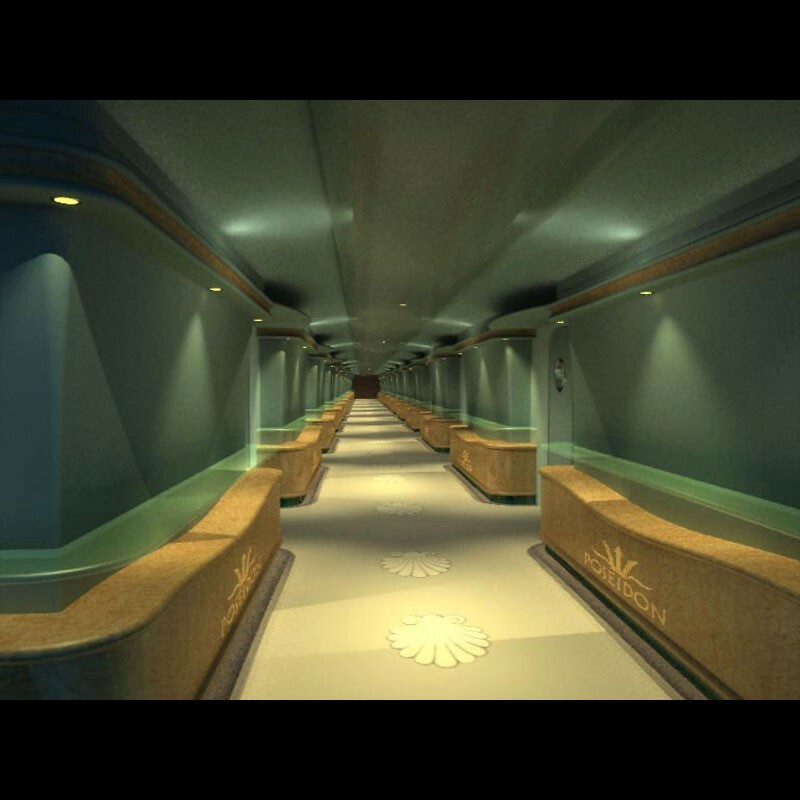 Access is simple: Guests will enter the Poseidon Undersea Resort through an elevator at the end of a pier. Additionally there is no difference between the pressure inside the resort and the atmospheric pressure at the surface, so anyone can enjoy the resort. Plus the interior is completely air-conditioned and humidity controlled. I've heard of undersea habitats. What's the difference between the Poseidon Resort and an undersea habitat? A typical undersea habitat is basically a research facility for divers. Occupants are exposed to the pressure of the ocean corresponding to the depth of the habitat, so they are subject to certain physiological restrictions and often require decompression. 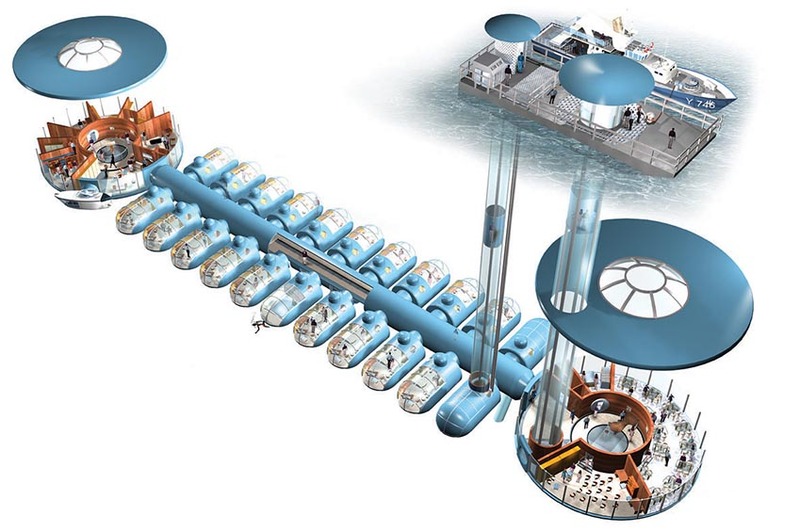 The Poseidon Undersea Resort is completely different; like a submarine, the pressure inside the structure never changes from surface pressure regardless of depth. Guests can enter the resort, stay as long as they like, and relax as if they were in their living rooms at home. What makes the Poseidon Undersea Resort so unique? Ours will be the world's first permanent one-atmosphere sea floor structure and the world's first true undersea resort. 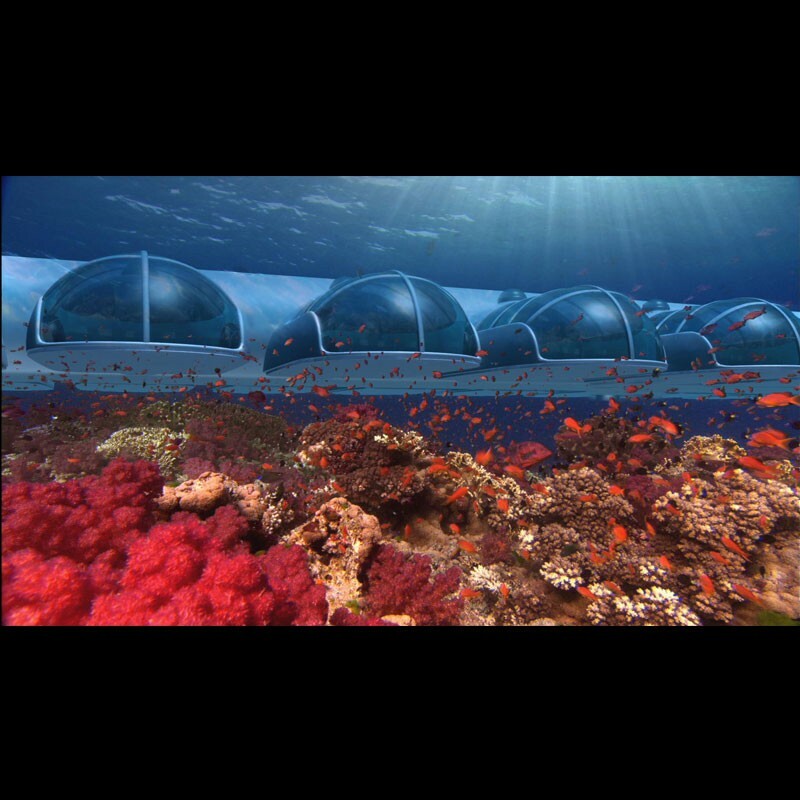 Guests will enjoy five-star luxury accommodations, all with stunning views of the underwater world. 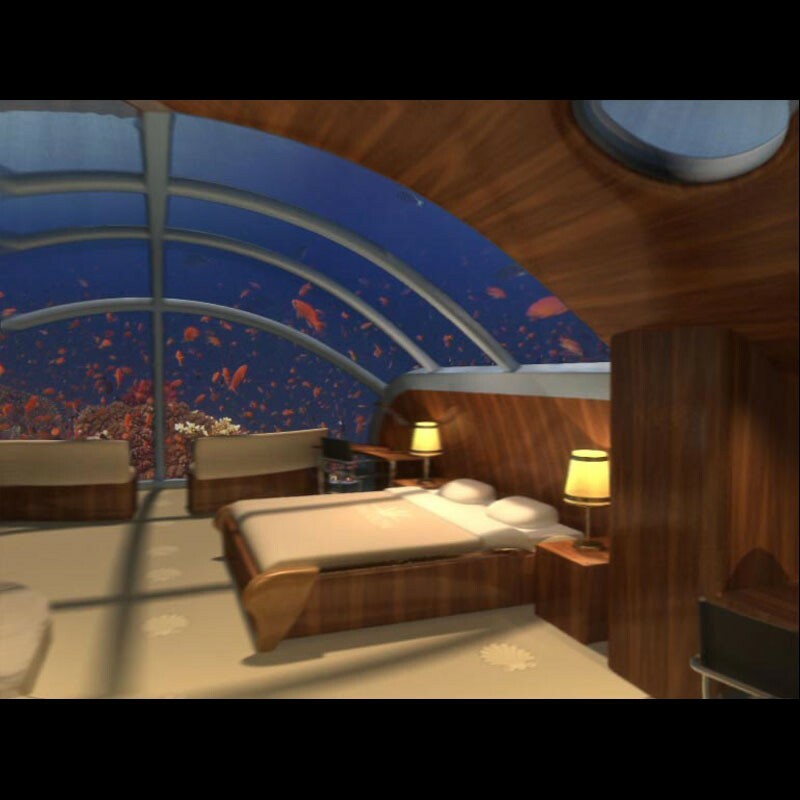 The Poseidon Undersea Resort will be the only place where you can spend a night underwater on the sea floor with a spectacular view. The "once in a lifetime" experience will be worth every penny. See our Rates & Reservations section for more information. What makes the undersea suites so special? 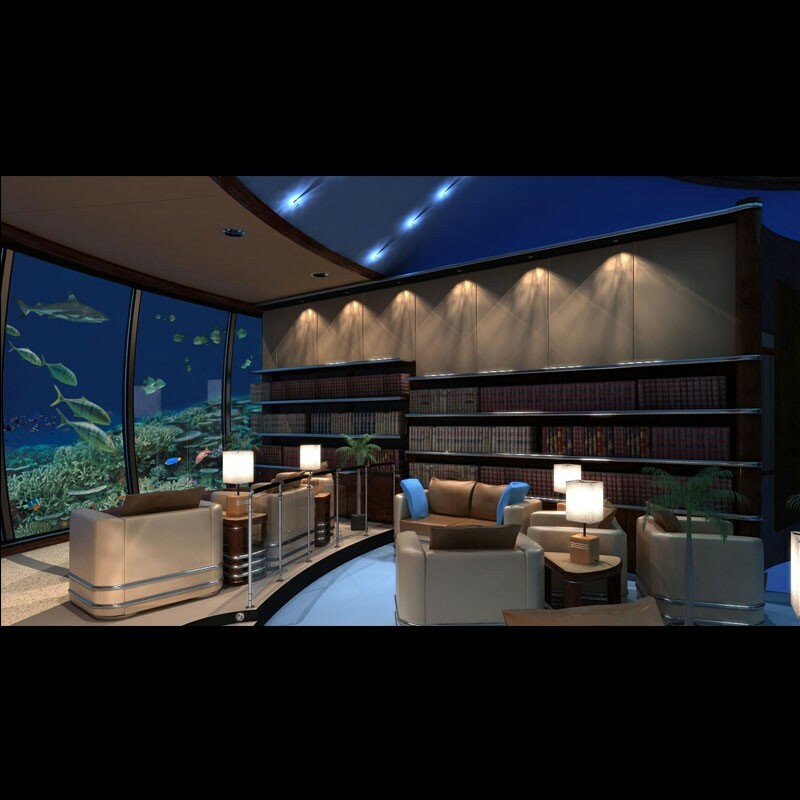 About 70% of the exterior surface of the suite is transparent acrylic making the undersea views panoramic. 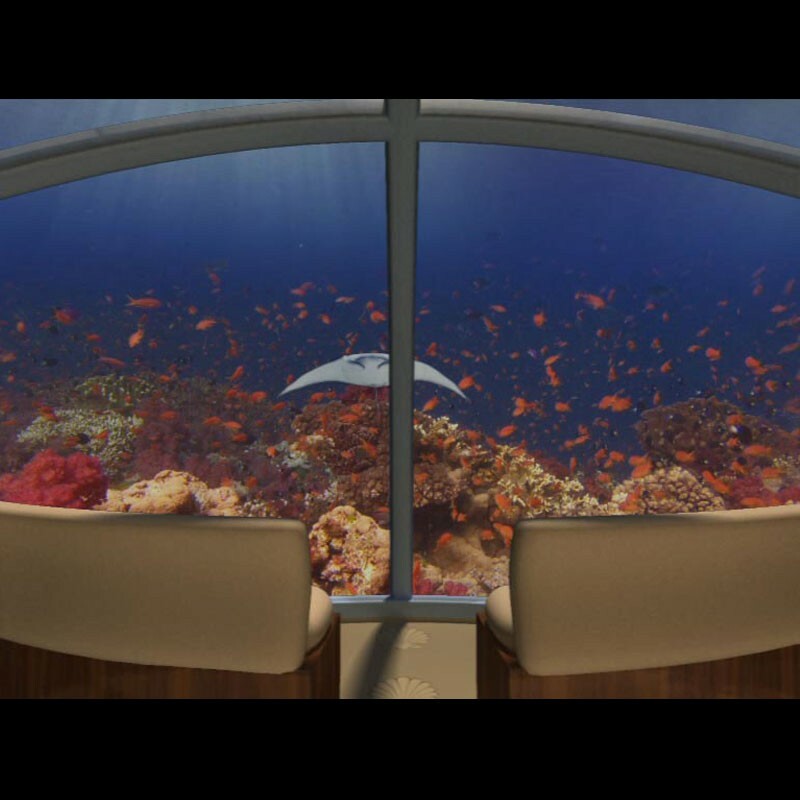 Outside of the sitting area of each suite will be a private artificial reef that will be the home for unique varieties of marine life. Each suite will also have its own underwater lights controllable from an inside switch and an external fish feeder (limited use per 24 hours) as well. Guests will be able to push a button and feed the fish outside.The level of luxury in the suites themselves will be unsurpassed with the finest fabrics, woods and fixtures. Each suite has a large jacuzzi tub with fabulous views of the sea floor as well. With all that transparent acrylic, what about privacy? The suites are set up with a reflective film so that it is nearly impossible to see into them during the day. At night, guests will be able to opaque sections of the viewports to increase their privacy. What will the restaurant be like? The world’s first sea floor restaurant will provide spectacular viewing. The restaurant will seat 64, and the bar, 36. Cuisine will be strictly five-star with an eclectic selection of some of the world’s best dishes prepared by Master chefs and served by skilled, personable and attentive waiters and waitresses. What is the resort’s most spectacular feature? That is a very difficult question to answer as different aspects of the resort impact people in different ways. Certainly just being able to relax in a spacious undersea environment is incredibly peaceful and unique. The Poseidon resort will also have a library/lounge/conference room exclusively for the use of its patrons. There are also two undersea spa treatment rooms and an undersea wedding chapel. One of the most interesting activities will be the opportunity to learn to pilot a 3-passenger submersible. Your personal pilot will teach you and your companion the skills necessary to explore Poseidon’s unique lagoon. On shore the resort will have a reception area, restaurant and lounge, swimming pool, luxury spa and hydrotherapy center, gift shop and tennis courts as well as a nine-hole golf course and a marina. There will also be a dive shop with recompression chamber. The resort will have a private plane to fly guests to and from Nadi International Airport on the main island of Viti Levu. From there non-stop flights are available to several international destinations including Auckland, Sydney, Vancouver and Los Angeles. How safe is the resort? The resort is built to rigid safety requirements with high levels of structural integrity, large safety factors and fully redundant fail-safe systems. Each room is completely isolated from the central hall and other rooms with a double pressure proof door system and independent emergency life support systems. Tourist submarines carry approximately one million passengers each year and have a perfect safety record making them statistically the world’s safest form of transportation. 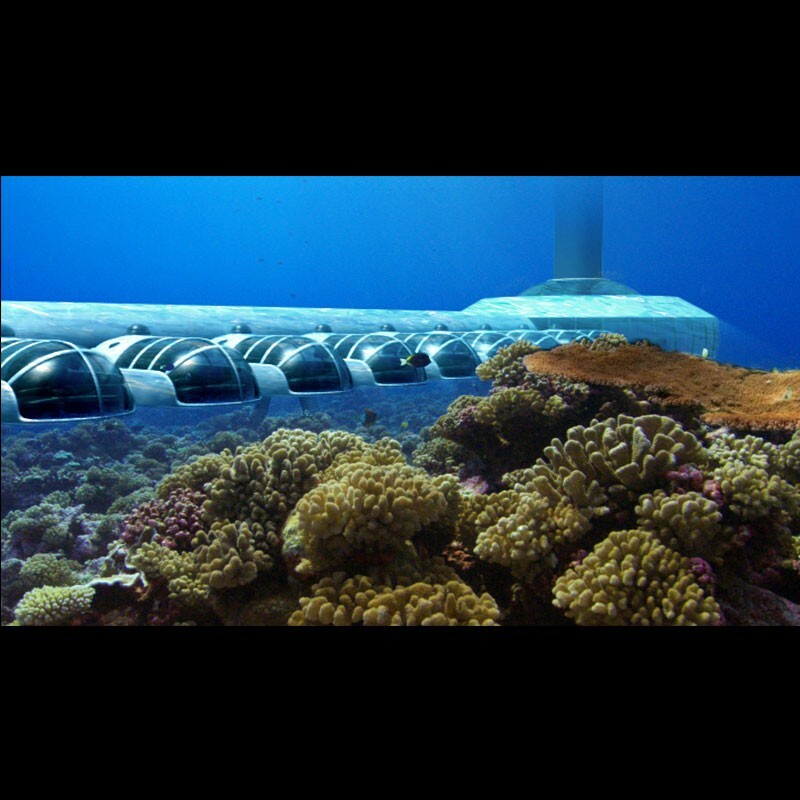 The engineers at U.S. Submarines have incorporated many of the same safety systems found in tourist subs into the Poseidon Undersea Resort. Will the resort be open to the public? Anyone can make a reservation to stay at the resort. At this time the intention is that the resort facility will only be accessible to resort guests, so non-guests will not be permitted on the island. 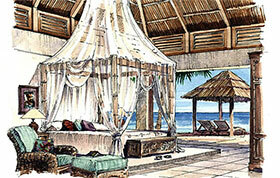 Guests in the on-shore bungalows will have access to the underwater facilities. There is something magical, mystical and uniquely captivating about the prospect of living under the sea. So many of us as youngsters immersed ourselves in the books of Jules Verne or sat, wide-eyed and mesmerized, as we watched Disney’s 20,000 Leagues Under the Sea. I was fortunate enough to live an incredibly unique life. As a child my playgrounds varied from the deck of a jack-up rig in the Persian Gulf to the wheelhouse of a tug boat in the South China Sea.By the time I was 18 I had been diving for nine years and had thousands of sea miles in my wake, always encouraged by parents who taught me that anything was possible. Poseidon is a vision that I have carried in my mind for decades and was made possible by two things, 1) the connections and experience derived from being self-employed in the civil submarine business for 19 years, and, 2) most importantly, the incredible group of people that have shouldered the burden and responsibility of making Poseidon a reality. Poseidon is the world’s first significant, permanent and habitable one-atmosphere sea-floor structure. To me, this is absolutely the most surprising aspect of the Poseidon project — the fact that nothing like it has ever been done before. Triton Submarines - for their amazing submersible designs, extensive expertise and guidance and unyielding support. US Submarines - for design innovation and technical expertise unmatched in the world. Deep Blue - for cutting edge web design and years of support. Welcome to the Roseidon Resorts press area. Please log in using Secured Agent Password (SAP) that was emailed to you when you registered. If you do not have an SAP, click the “Register Now” button and submit your information, to gain access to this and other private details about The Poseidon Undersea Resort. The Poseidon Project is more than a resort. It is a life-changing experience, a celebration of nature’s wonders, an illustration of responsible behavior towards our environment. All around the Poseidon Mystery Island, an unspoiled tropical marine ecosystem awaits its visitors. A specific program was designed to prevent negative impact on this environment - throughout construction and operation of the resort - and provide the most inspiring vision to our guests, for many years to come. The Poseidon Coral Reef Sanctuary Project, conceived as a non-profit program (future link to website) will invite guests, scientists and audiences worldwide to enjoy and support a unique conservation, education and research program focusing on coral reefs. Another world first, the Enhanced Reef Program will be be implemented inside the island’s lagoon, utlizing state-of-the art coral farming and propagation techniques in order to encourage the development of biodiversity. The Poseidon Coral Farm located on the island will offer visits and lectures to resort guests and represent a collection of preserved marine species accessible to scientists for their research and to children and students as part of our educational programs. More than a dozen international organizations and many more regional and local ones focus on reef preservation and restoration programs. Poseidon will showcase a methodology that can benefit many such projects around the world. Providing all the comforts, conveniences and opportunities only a five-star resort can offer, Poseidon’s Mysterious Island is the culmination of every elite vacationer’s vision. 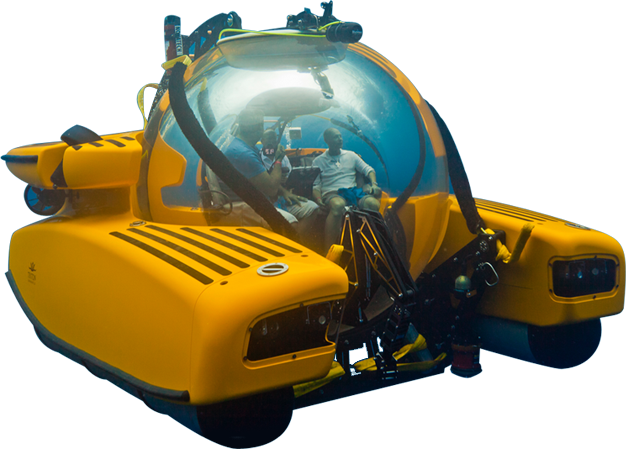 Activities abound for adventurers who wish to explore the unimaginable, like maneuvering a personal Triton submarine through a lagoon, exploring the ocean’s depths as the passenger of a 1,000-foot luxury submersible, and scuba diving in pristine waters. Those who seek solitude will find the epitome of relaxation when indulging in marine-focused spa treatments and meditation under the gaze of only the moon and stars. Whether traveling alone, as a pair, or in a group, you will find what you seek. Services available include two fine dining establishments, one on land and one below the sea, presenting plates of culinary excellence day and night. A dive shop and retail boutique will also be at your service, along with a library/lounge, theater area and conference room/wedding chapel. Fitness amenities include a nine-hole executive golf course, tennis courts, private splash pools and a fitness center. And then there’s your definitive playground… the ocean. Poseidon Mystery Island offers two means of guest accommodations, one above ground and one below the surface. Guests will have the opportunity to explore each comfortable, intimate world during the course of their stay, with full access to facilities in both areas. Rooms are easily accessible for most guests, regardless of physical condition. A king-sized bed laden with Scandinavian down duvets, plush pillows and high thread-count linens. A sitting room featuring a library and personal office with voice/data access, Wi-fi and high-speed Internet connections, and multi-line telephones. Entertainment technology, including a large, high-definition flat screen television; CD/DVD player; and satellite radio with surround sound. In-room refrigerators, which will be continuously stocked with gourmet snacks, champagnes, wines and soft drinks. Rich marble bathrooms with a large Jacuzzi tub, bidet, two sinks, a shower and a wealth of plush towels. Bathrobes, natural loofah sponges, hair dryers and a selection of marine-influenced beauty products are also provided. Each of the 48 luxurious bungalows (locally known as “bures”) found on Poseidon Mystery Island boasts its own splash pool and courtyard visible from an open living room. Decorated to compliment the natural surroundings, each TK–square–foot bure offers a wrap–around lanai, covered dining area, and a spectacular view of the turquoise lagoon. Many are West-facing so occupants can also enjoy dazzling sunsets. Each bure is air–conditioned and features natural wood furnishings. Each of the 24 Undersea suites measures 51 square meters (approximately 561 square feet) and offers a totally immersive underwater experience. A full 70% of the surface are of each suite is transparent acrylic. Privacy can be maintained by guest controlled LCD screens covering each acrylic panel. 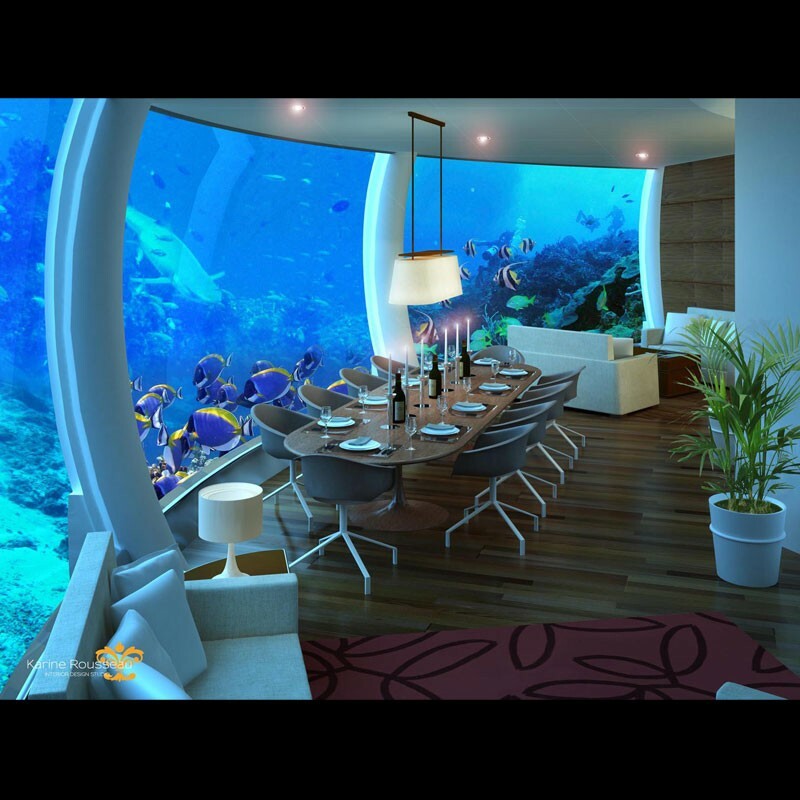 The focal point will be the huge full diameter transparent wall at one end of the suite, looking out to a private coral garden. 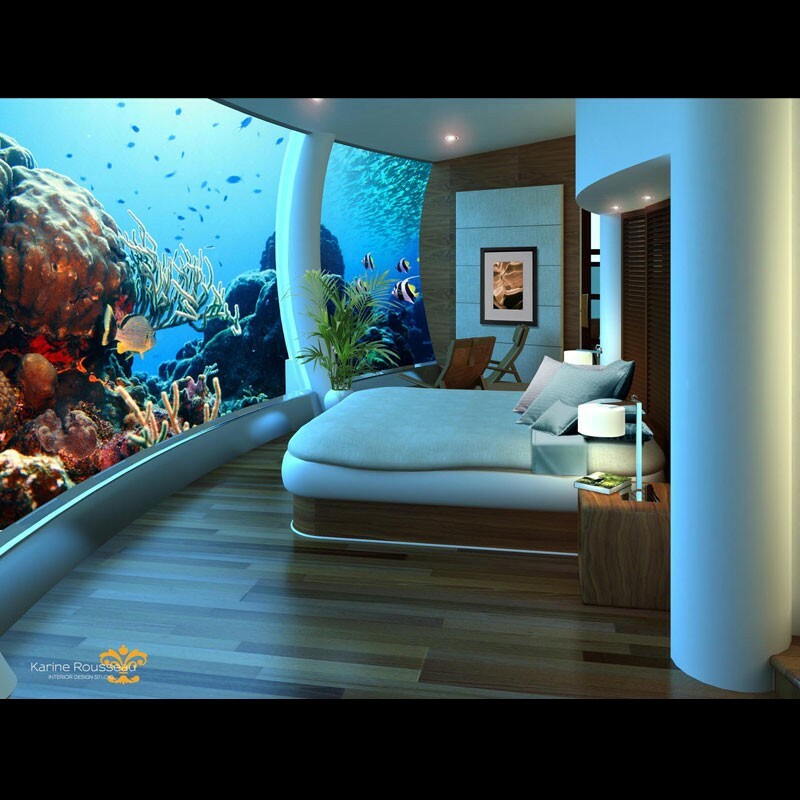 Each suite will also be equipped with underwater lights and push button fish feeders. Measuring 10m x 5.1m (33ft. x 17ft. 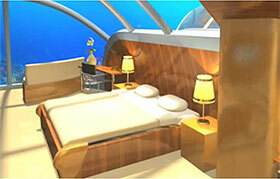 ), each undersea hotel suite comprises 51m (550 ft.) of floor space. The suites are built as detachable stand–alone modules that are placed when neutrally buoyant and mated to the main corridor assembly and were built to meet American Society of Mechanical Engineers Code for Pressure Vessels for Human Occupancy. Each suite has an integral high–tech carbon fiber door that opens outward to maintain the unit's watertight integrity during installation or removal. The main corridor has a similar opposing door to insure the integrity of the complex. The release of the module is simply accomplished by closing both doors and flooding the space between. Exceptional visibility is due to the use of transparent acrylic plastic (polyethyl methacrylate), a material that has been used frequently in deep submersible and aquarium applications over the past 20 years. The material is strong and remarkably transparent, and its characteristics are well understood. The resort's design takes full advantage of acrylic's ability to maximize viewing while maintaining structural soundness. Steel wall structures are 25 mm (1in.) plate, which follow the same curve as the acrylic, which is 60mm (2.4in.) thick. Acrylic window sections are set into a steel frame and are 3.05m (10ft.) in length around the curve and 1.75m (5.7ft.) wide. ABS classed tourist submarines carry approximately one million passengers each year (for the past 20 years) and have a perfect safety record, making them statistically the world’s safest form of transportation. 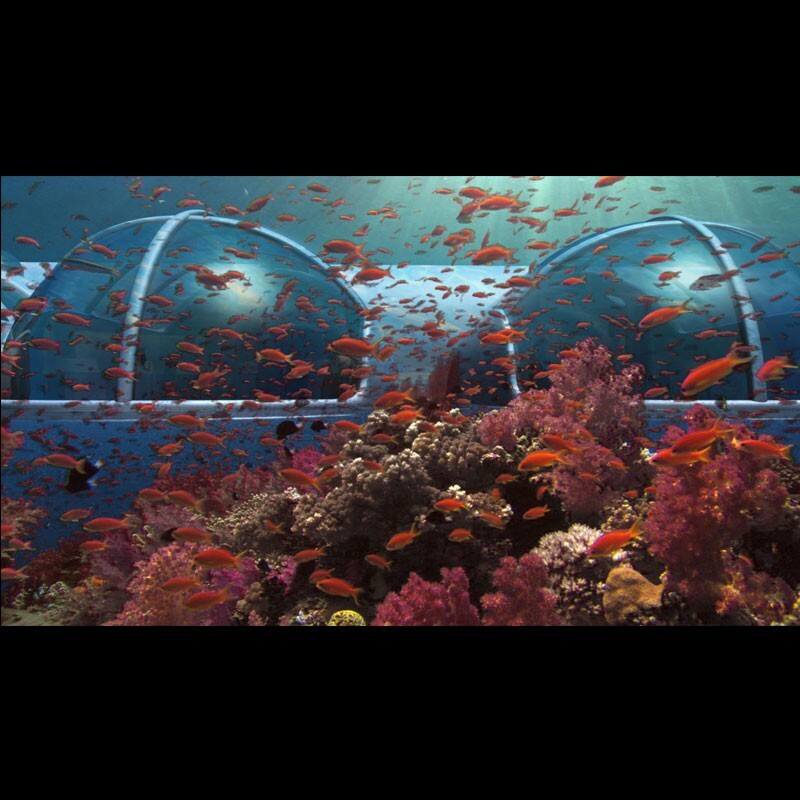 Poseidon’s undersea resort was designed by U.S. Submarines to meet the structural requirements applicable to a submarine pressure hull; all components of the resort are structurally very strong with a high overall safety factor. Each individual component of the complex will be automatically isolated in the highly unlikely event of a structural breach. Every unit has a safety dome with an entrance hatch where professionally trained divers can enter. Diving staff regularly practice rescue procedures in a purpose–built unit. With the exception of the central corridor, which is permanently fixed to the structural base of the facility, each individual unit is neutrally buoyant and capable of being removed from the complex–and the water–if necessary. All important systems are shore–based or can be found inside the complex for easy maintenance. Automated viewport cleaning systems remove marine growth from transparent surfaces. Get your passport ready, as you are about to embark on a world–class voyage to a location that nobody knew existed… until now. 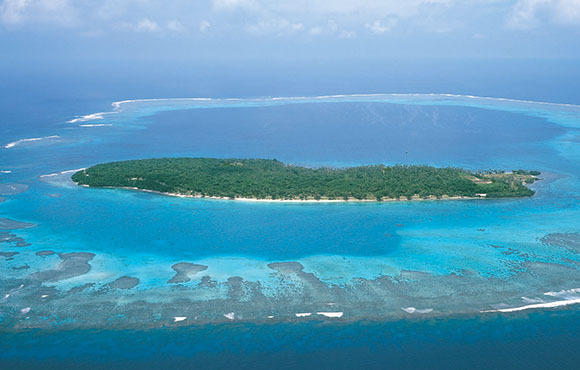 The mystery will begin once you arrive in Fiji. Via our twin–engine aircraft, a uniformed pilot will whisk you and your party to Poseidon Mystery Island, where you will receive a tour of the fantastic resort that will be your place of escape. The magnificent island is the result of an inactive volcano, which eventually housed a thriving coconut plantation. An abundance of palm trees still encircle the island, providing shade and homes for many species of birds. Expect to also see local fauna like coconut crabs, giant clams, sea turtles and dolphins. If you choose to arrive by boat, the lagoon surrounding the island accommodates vessels 500 or more feet long. The entrance to the lagoon is 35 feet deep and 200 feet wide. A marina and moorings will be available. Poseidon Mystery Island is the only one of its kind but overwhelming interest has led to consideration for future locations. Check this website regularly for updates. There is nothing in the world like Poseidon’s undersea resort. Since Jacques Cousteau's Conshelf I in 1962, approximately 70 ambient pressure habitats (intended mainly for short–term scientific research projects) have been built. Today only two underwater habitats are operating, both in the Florida Keys: The U.S. Aquarius, a private NOAA–sponsored scientific research habitat in 50 feet of water, and Jules Undersea Lodge, a successful single room underwater motel accessible only to trained divers via underwater entry. Poseidon’s undersea resort differs from previous habitats in that it is "one–atmosphere." This means that the interior of the structure is always at surface pressure so that, unlike ambient pressure habitats, Poseidon's occupants are never exposed to the physiological effects of hydrostatic pressure. Vacation with us under the sea. You’ll become part of history in the making. 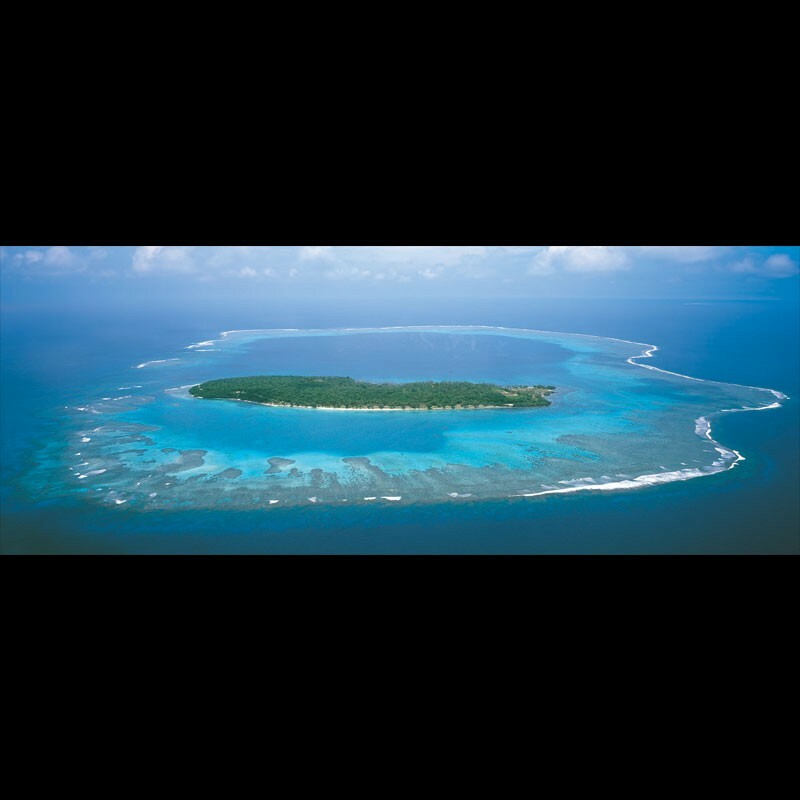 Poseidon Mystery Island comprises approximately 225 acres and is about a mile long. Surrounded by a 5,000-acre (7.8-square-mile) lagoon, it boasts pristine waters that range to 90 feet (27.4 meters) in depth, replete with abundant sea life. Just outside the lagoon the reef plunges into an abyss, providing virgin territory to explore with our deep submersibles. Ever had a martini underwater? Sip cocktails while exploring the outer fringes of the lagoon’s deep reefs as a guest aboard Poseidon's 16-passenger Triton luxury submarine. 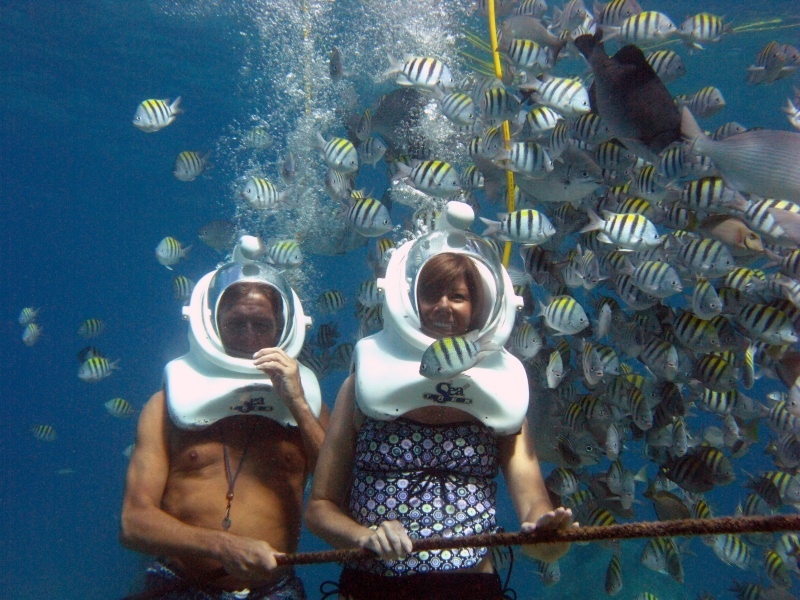 Experience the amazing reefs on foot with Sea Trek®. Whether you plan to hold a unforgettable wedding or a vox–renewal ceremony, or if you simply wish to experience a romantic escapade without bounds. Poseidon’s facilities are un–matched. And there’s no need to worry about the details; our wedding/event consultants and guest services staff will help make your wishes come true. Or, for a wedding ceremony or vow renewal truly unlike any other, reserve the undersea chapel. This splendid space offers an enchanting environment made all the more interesting with its ever-changing backdrop: a transparent wall overlooking a coral garden. After the ceremony, guests can be escorted to the dining room for cocktails and gourmet hors d’oeuvres as our staff quickly rearranges the space to produce a dance floor and suitable sit-down dining arrangements. There’s something undeniably sensual about the sea: the salty fragrance of the ocean’s breeze, the rhythmic beat of the surf, the gentle curve of a rising wave… You and your partner will gladly abandon yourselves to this all-enveloping world where each sense is heightened. Want your ceremony to take place in private, on the sand, at sundown, under a white hibiscus-covered arbor with a steel drum band performing? Just ask. We’ll take care of everything. For information about Fijian marriage requirements, please visit the Fiji High Commission. Please register to be notified when we begin taking reservations. 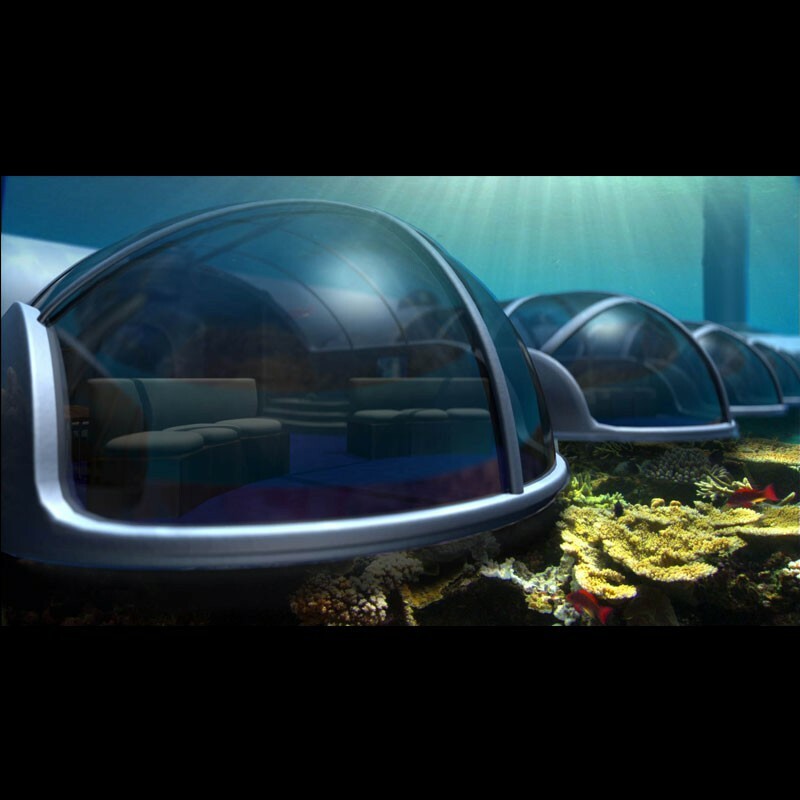 Reservations will be made through Poseidon Undersea Resort Expeditions. By registering today, you will ensure that you have the opportunity to make a reservation to become one of the first people in history to experience a vacation in an undersea resort. Poseidon Mystery Island is located on a private island in Fiji. The weather is temperate year round. Transportation from and to Nadi/Suva on our company airplanes. Four nights in a luxury beach or over-water villa. 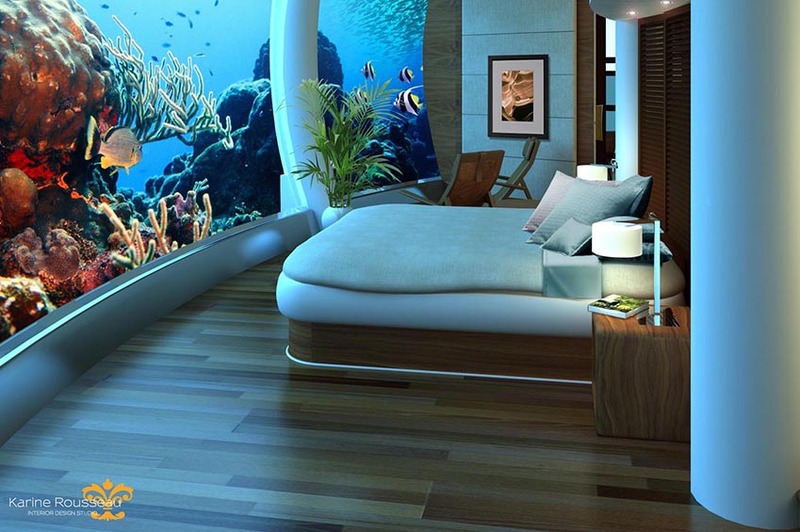 Two nights in a luxury undersea suite. All meals and drinks (not including specialty wines, liquors and select extras). Diving onboard a luxury expedition submarine outside the lagoon (300-foot capable, 16-passenger). An initiation to piloting a three-passenger mini-sub inside the lagoon with the assistance of a trained pilot. 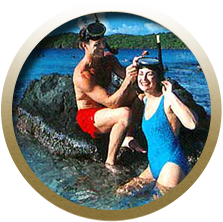 Scuba diving and snorkeling, with special programs from beginner to expert. Walks on the lagoon floor with our Sea-Trek system. Lectures and activities with a naturalist in-residence and guest marine scientists. Your own personal, professionally produced photo album of your experience at Poseidon Mystery Island. Access to and supplies for all amenities: golf, tennis, watersports, etc. Access to the resort spa (some treatments additional cost). Gourmet meals and drinks (not including specialty wines, liquors and select extras). Register to be notified when we begin taking reservations. If you seek an unforgettable way to celebrate your successful managers and staff or great customers, call Poseidon’s corporate specialist to find out about island charters and incentive programs. All–inclusive pricing makes customizing a package easy, and we’ll gladly assist with meeting and event planning. 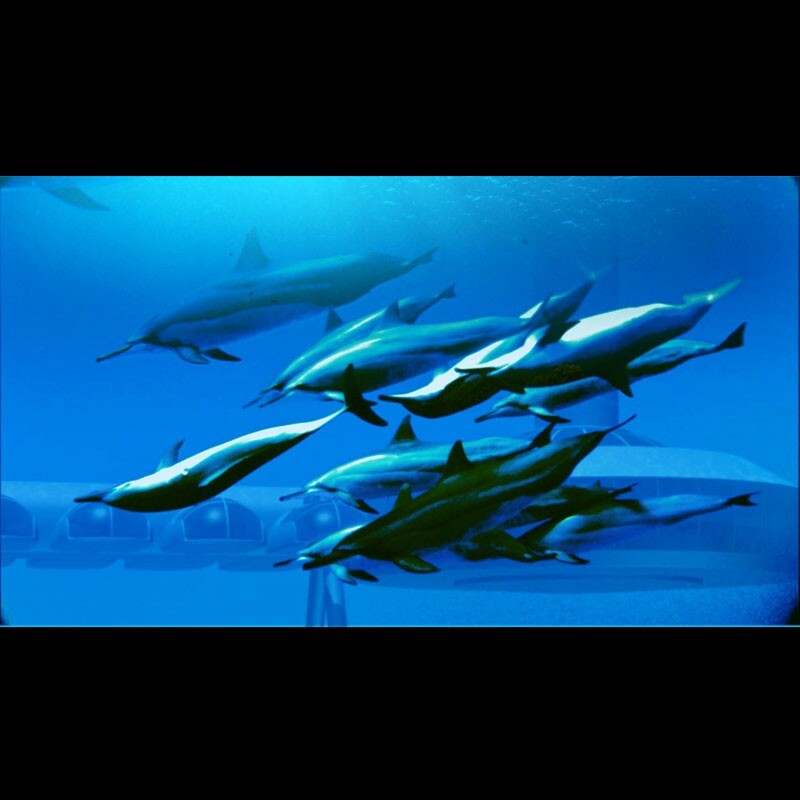 Poseidon’s Mystery Island is the perfect place to reward your top performers or up to 72 of your company’s leaders and their spouses at one time. (Maximum occupancy is 144 guests). Our facilities were designed with your business in mind—imagine the inspiration that arises when you hold your next meeting in an underwater conference room. [We like to say that we’ve redefined the term “think tank.”]. Or, consider sending your top producers to Poseidon Mystery Island as a reward for a job well done. After nine-holes of golf, a dive in the lagoon, a poolside massage and a divine dinner, they’ll feel indebted too. The cost for exclusive use of Poseidon Mystery Island is US$2,750,000 for seven days and six nights. The latest about what’s going on with Poseidon Undersea Resorts! You have asked for it and its on the way. Poseidon will soon offer a line of clothing and accessories including a custom 1000-meter rated titanium dive watch. Watch for a link to our online store in coming months. Follow us on Twitter and Facebook to make sure you are notified as soon as the store goes live! Poseidon is currently working with the worlds leading acrylic provider and is proud to announce that due to advances in acrylic manufacturing and post processing techniques, we will be able to utilize acrylic that is near optically perfect with bonding joints that are less than 1mm thick and virtually invisible to the human eye. Several other exciting updates are on the way. Be sure to follow us on Facebook and Twitter by clicking on “Connect”. Due to overwhelming demand, Poseidon’s management team is now investigating several potential locations for the second resort. To date over 150,000 people have registered to be notified when we begin taking reservations and the Fiji Resort will only be able to take 7,200 reservations per year. We will post updates as we hone in on additional potential locations. 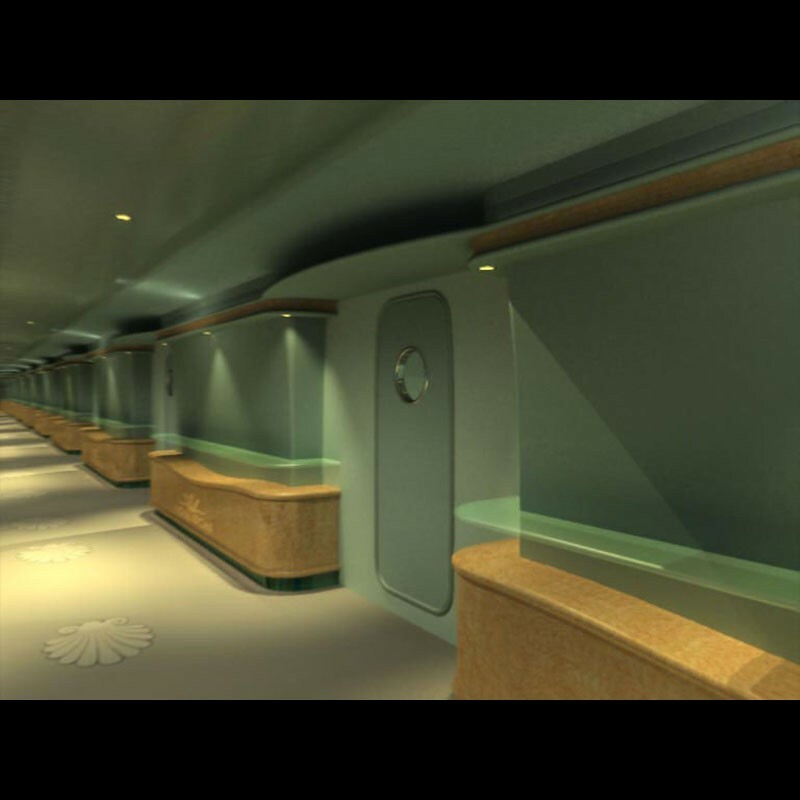 Check out the full Poseidon Undersea Resort blog here. The latest dive watches, gear and apparel from Triton Submarines and Poseidon Undersea Resorts! Get your gear click here. Register now to be informed when we start taking reservations. 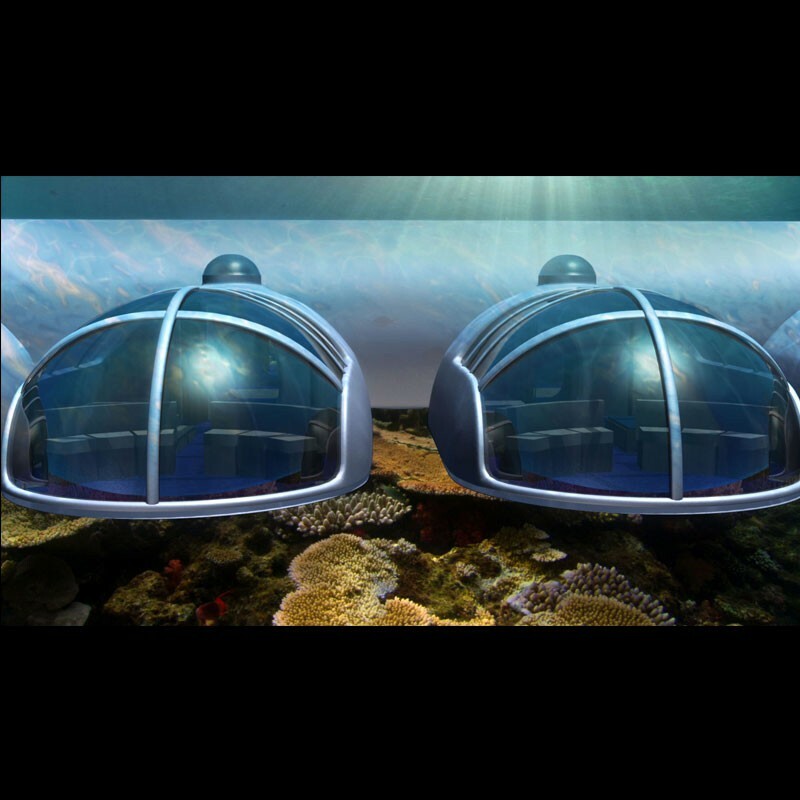 Be one of the first to experience the world's first undersea resort!